Prysmian BICC Bicon brass cable glands and aluminium cable glands provide mechanical cable retention and electrical armour continuity for power, control and instrumentation cables - this includes safe cable terminations using industrial, low smoke zero halogen, hazardous area and high voltage cable glands for LV, 11kV-33kV cables. 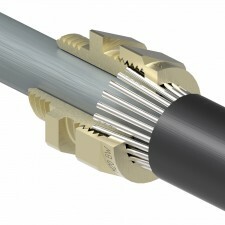 Prysmian glands suit XLPE and EPR insulated cables with steel wire armoured (SWA), aluminium wire armoured (AWA), steel wire braid (GSWB), lead covered sheath and also unarmoured cables according to BS6121 - cable glands kits are complete including locknut, earth tag, gland shroud and washers. Prysmian Cables and Systems are a global company producing high quality, high performance cable accessories including cable glands, cleats, joints and terminations for low and high voltage cable installations, including ATEX certified cable glands for hazardous area Zones 1 and 2. BICC BICON cable glands terminate low, medium and high voltage power, control and instrumentation cables in industrial and hazardous area installations - BICC BICON cable glands provide earth continuity from the steel wire armour (SWA) or galvanised steel wire braid (GSWB) to the electrical equipment. 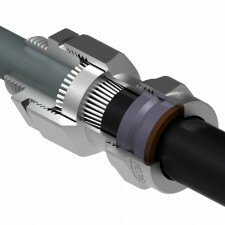 Prysmian cable glands terminate LSF (low smoke fume) and LSOH (low smoke zero halogen) cables including OHLS Saffire, Afumex and FP fire resistant type cables. Prysmian LSF LSOH (low smoke zero halogen) cable gland kits comply with LU Standard 1-085 for installation in all London Underground sub-surface locations.